Originally from Trivero, a district in North Italy famous for its textile production, the Loro Piana family started as merchants of wool fabrics at the beginning of the 19th century. Loro Piana is exemplary Italian clothing company that specializes in high-end, luxury cashmere and wool products. Loro Piana’s ultra-light and timeless clothing pieces will always have you feeling elegant. 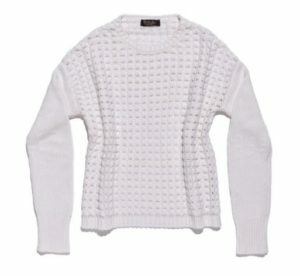 A staple piece is the Girocollo Martigues Baby Cashmere sweater. This roundneck sweater in baby cashmere is crafted with a maxi openwork stitch and classic neutrals—a classic sweater. Try the Bomber Bridgton. A bomber jacket in Wind Stretch microfibre treated with Storm System for a waterproof, wind-resistant finish with sleeves in luxurious baby cashmere and enriched in castorino fur. 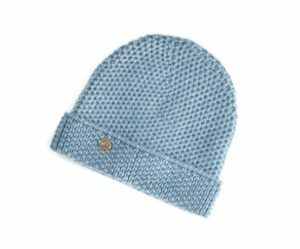 Top off the look with a Rougemont Knitted Cashmere Hat, the perfect complement on cold winter days. The online USA Loro Piana store has by far the largest range of Hermès products in the world. 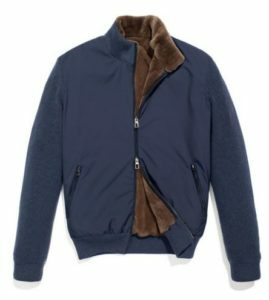 The USA Loro Piana Online Store unfortunately does not offer international shipping. Not to worry though! Big Apple Buddy, your personal shopper, can help you buy products from the USA Loro Piana online store and ship them to your doorstep, no matter where you are in the world. We offer international shipping to over 110 countries including Australia, Austria, Azerbaijan, Bahrain, Belgium, British Virgin Islands, Brunei, Bulgaria, Canada, Chile, Costa Rica, Croatia, Czech Republic, Denmark, Estonia, Fiji, Finland, France, French Polynesia, Germany, Gibraltar, Greece, Greenland, Hong Kong, Hungary, Iceland, Indonesia, Ireland, Israel, Italy, Japan, Jordan, Kuwait, Latvia, Liechtenstein, Lithuania, Luxembourg, Macau, Malaysia, Maldives, Malta, Marshall Islands, Mauritius, Monaco, the Netherlands, Netherland Antilles, New Zealand, Norway, Oman, Poland, Qatar, Romania, San Marino, Saudi Arabia, Serbia and Montenegro, Seychelles, Singapore, Slovak Republic, Slovenia, Spain, South Africa, St. Lucia, Sweden, Switzerland, Taiwan, Thailand, the UAE, the UK, Vatican City, and Vietnam. If you would like to buy from the USA Loro Piana Online Store, simply let us know which items you would like to order (by filling out the form below) and we’ll get back to you with a free international shipping quote within 24 hours!